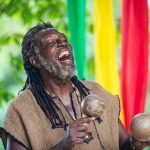 The Rastafari Indigenous Village (RIV) is a shining example of how small-scale attractions can become market ready, meeting the expectations of customers, as well as generating income and protecting culture. The RIV community set up a visitor attraction, but was unsure of how to develop this tourism offer to generate income for the running of the village. As part of our mission to encourage tourists to explore Montego Bay, we saw this as an opportunity to develop a truly unique experience and support a local community. Our aim was to help the RIV community use tourism for long-term funding, and as a way to preserve, celebrate and communicate Rastafari traditions for the benefit of both national and international visitors. In the long-term, we hope that this and other attractions like it will support a unique and authentic tourism offer for Jamaica, which benefits local people. RIV obtained their licence to become an official tourist attraction from the Jamaica Tourist Board. RIV signed a contract to be sold as part of a tour by mainstream operator, TUI. "The Travel Foundation opened our eyes to the business of tourism. We thought we knew what we were doing until we got into partnership with them. They showed us how to price our business and provided training, financial and other support for us to now sign a contract, for the first time, with a major tour operator."